Montreal Teachers 4 Change.org | A Forum for Educators That Want to Change the World! Infographic: Where Do Political Parties Stand on Quebec’s non-inclusive History Curriculum? hold a press conference at June 19th at 8:30AM at the English Parent’s Committee Association office (7875 Chemin de la Côte-de-Liesse). We will respond to a memo the Ministry quietly sent to schools on May 31st announcing that the secondary three History of Quebec and Canada textbooks distributed to schools in the fall of 2016 would be replaced next year in order to better respond to the Calls to Action of the Truth and Reconciliation Commission. It seems a year doesn’t pass where we are not painfully reminded of the ignorance that large segments of our population have with respect to the history of black people living in the territory we now know as Quebec. From opposition to changing racist place names, to the public defence of the all too frequent donning of blackface, to the denials of the need to address systemic racism, in each case we hear a familiar refrain: Quebecers are not racist, and to suggest otherwise amounts to Quebec bashing. As a teacher of Quebec history, I am always saddened by such reactionary sentiments. If we knew the truth about our own history, I believe such insensitive and defensive reactions would be far less frequent. Others might instead open their minds to the perspectives of their black fellow citizens, and in the process, help to create the kind of society where the voices and contributions of all citizens are valued, regardless of ethnicity or skin colour. This textbook, Reflections, does not seem likely to build understanding and empathy, but rather, reinforce intolerant and divisive views. This is particularly true with respect to the words we use with our young people. Such words can reproduce existing attitudes that harm, divide and exclude, or they can give young people the tools to build understanding and empathy. As a teacher, I am acutely aware of the heavy responsibility I have regarding the words I use with my students. While there are numerous problems with the textbook, it seems fitting, with the one-year anniversary of the Jan. 29 mosque shooting approaching, to focus here on the way Muslims are depicted. As historian and literary theorist Edward Said identified long ago in his classic book Orientalism, Islamophobic stereotypes tend to be centred around associations with terrorism and misogyny. Sadly, rather than helping students to deconstruct these stereotypes that have been so harmful to Quebec citizens of Muslim faith, the textbook reinforces them. On Pages 321 and 322, we find an extremely one-sided presentation of the so-called debate on “religious neutrality.” We learn that some believe that certain religious accommodations are “contrary to the values of Quebec society,” but nowhere do we learn about those who believe that inclusion and respect for religious freedom and human rights are Quebec values, enshrined in Quebec’s own human rights charter. No mention is made of the extent to which these debates played on ignorant stereotypes about Muslim women, nor of the dramatic rise in xenophobic hate crimes targeting Muslims, and particularly Muslim women, provoked by this public debate. Once again, an opportunity to deconstruct ignorant stereotypes and promote an inclusive vision of society is missed, and instead harmful stereotypes about a vulnerable minority are reinforced. Problematic depictions of the Muslim community are only the tip of the iceberg. Quebec’s new history program depicts black Quebecers, members of Quebec’s various immigrant communities, anglophones and Indigenous people in problematic ways. There is an urgent need for the government to immediately go back to the drawing board to produce a history curriculum that is reflective of the sorts of values articulated by our premier and other political leaders in the days following the Quebec City massacre. If, as the premier said, “words can hurt, words can be knives slashing at people’s consciousness,” then we must be particularly vigilant about the words we are exposing our young people to. Members of ComECH-Quebec at May 2nd press conference. Montréal, March 9, 2017 – The omission from their collective agreement of a work-family balance clause for Anglophone teachers in Quebec is considered grossly unfair and discriminatory, said a group of teachers who are calling on their union, the Quebec Provincial Association of Teachers (QPAT), to correct the omission. According to two representatives of the Teachers’ Committee on Work-­Family Balance, Katharine Cukier and Anjali Abraham, the omission of such a clause is unacceptable, since QPAT inexplicably failed to explicitly negotiate this clause in the 2015-­2020 collective agreement, which was reached with the Management Negotiating Committee for English-­language School Boards (CPNCA). Representatives of the Quebec English School Board Association (QESBA) and the Ministry of Education and Higher Education sit on the CPNCA. The Teachers’ Committee has circulated a petition that has gathered 50 signatures including teachers with family needs involving young children, children with disabilities, spouses with chronic illnesses and aging parents. A quarter of the teachers who have signed are men. According to Ms. Cukier, since 2014, QPAT was made aware of the inexplicable omission of a work-­‐family balance (WFB) provision in its 2010-­2015 collective agreement. QPAT Executive Member Peter Sutherland indicated in 2015 and then in early 2016 that such an absence was an oversight by the QPAT negotiating team, and that it would be corrected in the 2015-­2020 collective agreement. This did not happen. The situation is unacceptable because the WFB is in the collective agreements of unions representing French-­speaking teachers, and that of English-­speaking non-­teaching colleagues. Only English-­speaking teachers and bus drivers are deprived of this clause and benefits, which leave them vulnerable to stressful negotiations on a case-­by-­case with a particular employer, exhausting union grievances, insecurity and financial disadvantages. Ms. Cukier is an English teacher with 20 years of experience who has a son with severe autism. She experienced difficult situations at work in obtaining WFB arrangements, and considers the omission “disrespectful” towards the 8,000 plus teachers in the English-speaking sector, many of whom are women. “It is bewildering that our union, which negotiates in cartel with the CSQ (Centrale des syndicats du Québec) would neglect one of the most pressing issues of the workplace when for the past decade. The CSQ has been in the forefront of mobilising the province to take action on work-­family balance,” said Ms. Cukier. For Ms. Abraham, WFB arrangements will make a big difference in her and her family’s life. She is a senior mathematics teacher for 20 years of teaching experience. A WFB arrangement would help her balance marking and lesson preparation, and family care of her two young children when she takes on a full-­time teaching load in 2018. With Provincial negotiations finished, the local Teachers Unions are now consulting their members about negotiations over local contracts with school boards. Below is a table put together by Royal West teacher Katharine Cukier comparing sick day (provincially negotiated in Quebec) and special leave day (locally negotiated with school boards) provisions in collective agreements across Canada with those of teachers in the English Montreal School Board. To put the information in this table in context, a few words about salary. In recent years there have been two rigorous comparisons of teachers salaries across Canada. The BC Teachers Federation’s document compared the top and bottom of the payscale of teachers across Canada in two categories in 2013/2014. In three of the four comparisons Quebec’s teachers were dead last in terms of salary. A similar comparison covering the same year by Statistics Canada echoed these results finding Quebec’s teachers at the bottom of almost every category of comparison. Over 25 years a teacher in PEI (category CVA) will earn $189,668 more than a teacher in Quebec. A high school teacher in Ontario (level 6) will earn $415,935 more than a Quebec teacher. An Alberta teacher (5 yrs of Teacher Ed) will earn $581,214 than a teacher in Quebec. Most interestingly a BC teacher (Cat 5) whose payscale tops off at an amount lower ($77,905) than the top of the Quebec payscale ($78,992), will still earn $158,950 more than a Quebec teacher over 25 years of employment. Podcast: Financial Literacy at the Expense of Political Literacy? CJAD’s Leslie Roberts speaks with teacher Robert Green about the Quebec government’s proposal to introduce a financial literacy course at the expense of the Contemporary World course. Click here to download the podcast. Horrified by the Parti Québécois’s proposed Charter of Values and the conservative ethnic nationalism it represented, the election of 2014 saw large numbers of Quebecers turn to a corrupt, austerity-mad Liberal Party, hoping it to be a lesser evil. This fall, high school students throughout Quebec will reap the consequences of this short-sighted political calculation as they are subjected to a dogmatic, exclusionary and politically regressive history program that is as much the product of the PQ’s conservative ethnic nationalism as it is the Liberal Party’s myopic obsession with public sector austerity. The genesis of this reform begins with the lobbying efforts of la Coalition pour l’histoire, an organization founded by nationalist historians Éric Bédard and Robert Comeau with the support of organizations such as la Fondation Lionel-Groulx, le Mouvement national des Québécois, and la Société Saint-Jean-Baptiste de Montréal. Despite the fact that Quebec’s current curriculum contains numerous and frequent references to Quebec nationalism and the Quebec nation, the coalition sees it as its mission to stop what it calls the “denationalization” of Quebec history. The politics of this coalition were laid bare in 2013 when the organization refused to meet with the members of the initial committee set up to reform the curriculum, because of the “divergent views” that would be present. Evidently the coalition members wanted a committee as monolithic in its composition as the view of Quebec society they sought to impose on Quebec’s students. The PQ education minister of the day, Marie Malavoy, subsequently decided to meet privately with a small group of coalition supporters. Cancelling a meeting of the larger, more diverse committee was a telling indication of the direction she was intending on taking the program. As a grade 6 teacher who has just finished correcting provincial math exams, I am convinced that our government has taken the wrong path in evaluating knowledge that our children in Quebec society have grasped through our educational system. The exam is divided into 8 parts, with one large situational problem and 6 shorter applications.There is also a traditional multiple choice and quick answer booklet. 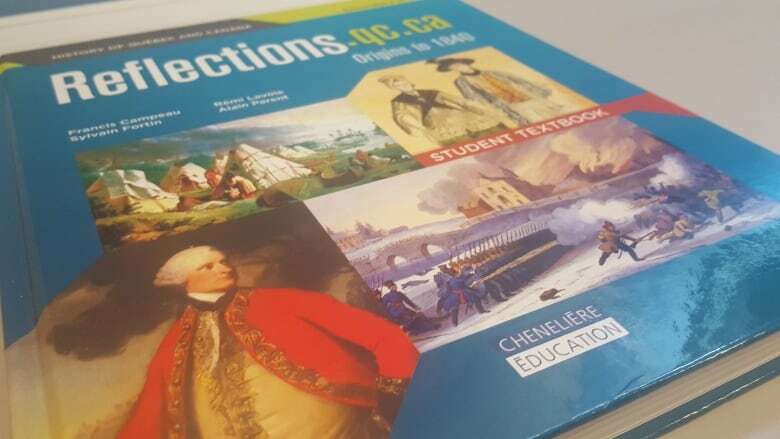 Earlier this year, Quebecers learned of a reform to the province’s history curriculum that provoked a great deal of concern. Not only was the role of Quebec’s anglophone community reduced to that of a comic book villain intent on impeding progress, indeed the contributions of all of Quebec’s minority groups seemed to be systematically excluded. There was nothing about the anglophones who participated in the 1837 rebellions or organized some of Quebec’s first labour strikes; nothing about the struggles against discrimination faced by Jewish and Italian immigrants; nothing about the contributions of more recent immigrants, like the Vietnamese or Haitian communities.